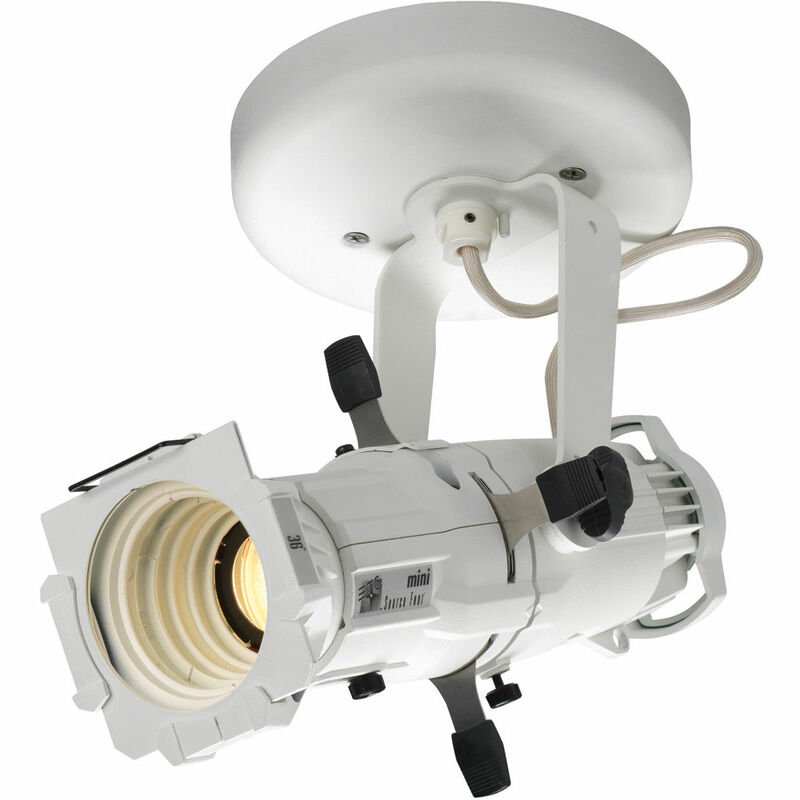 The white-finished, 19 degree, Source Four Mini Gallery with Canopy Mount LED light from ETC is a lightweight, high-output ellipsoidal, with a 3,000 K Cree LED light source that is well-suited to multi-fixture designs in venues such as museums, retail stores, restaurants, lobbies, labs and theaters. The Mini features die cast, aluminum construction with a steel yoke, 4 captive shutter blades, dual captive accessory slots and thermally insulated knobs and shutter handles. The Source Four Mini uses projector-quality lenses which can be adjusted for a hard or soft beam edge. The fixture includes a E-sized holder for gobos with 1.47" (37.5 mm) with a 1.0" (25.4 mm) image areas. A media frame is also included for filters and diffusion material. This Gallery Canopy version of the Mini has a CRI of 90+. It comes with a 5.31" diameter pre-wired, color-matched canopy for non-track installation, and features a built-in rotation stop to prevent wire damage when adjusting the light. Installation hardware is included. Canopy dimensions: diameter: 5.31, height 1.04"
Box Dimensions (LxWxH) 12.6 x 10.75 x 4.0"